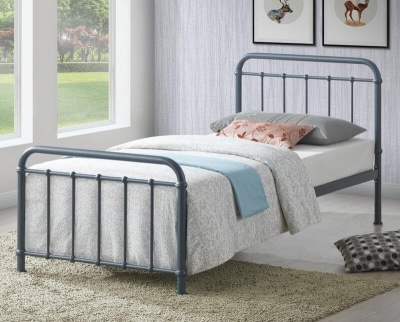 Warm stone white lacquered finish of this bed frame looks stunning in a wide range of interior colour schemes. Classic wide slatted headboard and robust posts suit traditional and modern bedroom styles. Strong and sturdy build the Barcelona stone white low foot end bed frame will last you for many years to come. Construction from solid pine and MDF with a solid pine slatted base. Stone white is an off white colour not brilliant white. Bottom of side rail to floor - 30 cm. Fits a standard UK single mattress. Mattress and bedding not included.